Ashton and Aubrey are siblings and LOVE each other so much we are trying to keep them together.They are tiny puppies, full grown they should be less than 15lbs. Completely adorable and dog friendly but a meet and greet is required. 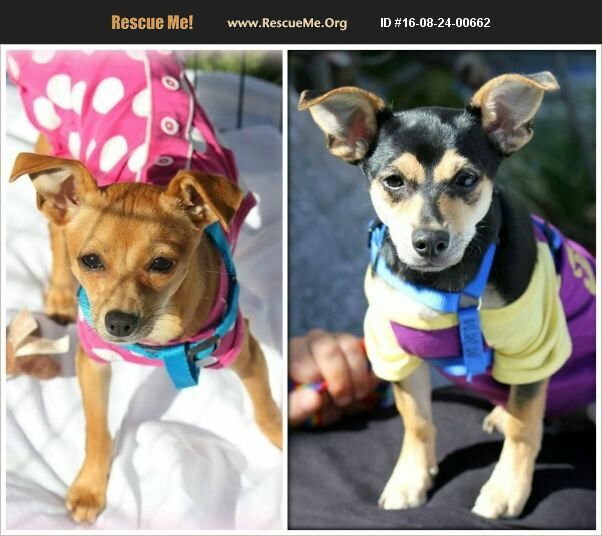 If you are interested in adopting both, please contact us at 877.506.8100 or 100PlusAbandonedDogs@gmail.com.